This free open online course is aimed at teenagers and young people interested in learning how to code. You’ll learn how to use the free [Scratch] system provided by MIT. All you need to take part is an email address, a computer, internet access, and a touch of imagination! : https://scratch.mit.edu/ "EXTERNAL"
Today, we are surrounded by computerized technology. When we think about software, we often think of computers for writing emails or surfing the internet. But software is everywhere! It’s in many of our household appliances and is used to produce many of our manufactured products such as our clothes. So maybe you enjoy using software, but why not start creating it for yourself? You never know where it might lead – you might even end up using your new coding skills in your job one day! And if you’ve never done any programming before – no problem – this is the place to start. All you need is some free time and a bit of curiosity. You’ll be truly astonished at what you can do in next to no time! If you’re aged between 12 and 17, this course is for you. The course is based around the popular Scratch system that is capturing the imagination of young people around the globe. You need to have access to a computer and access to the internet to download Scratch. You can watch the videos online if you have a good internet connection, but if not, you can download them and watch them offline. You will be working with an online version of Scratch. The course is open for 4 weeks and consists of 5 video lessons. After each video, you can take a short self-test to see if you have understood everything. If not, you can go back and watch the video again. There also some exercises to help you design and create your own computer game. In total, you’ll need about 6 hours to complete the course. This course is offered as part of various Code Week and digital literacy programs designed to bring programming skills to young people across the globe. After the course closes, content is available in self-study mode. Optional self-tests, exercises, and final assignment. You can take the final assignment at any time. The results and records of achievement will be available shortly after the course ends. There are no technical requirements. You will be shown how to download Scratch. Daniel is a first-year student at the University of Cape Town studying Computer Science and Computer Games Development. He took Information Technology as a subject in high school and worked most with the Scratch program in Grade 10. 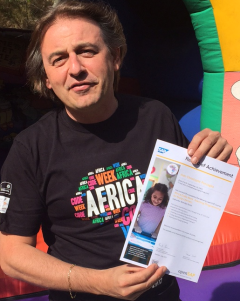 Noel is a principal consultant for SAP in South Africa. He implements SAP enterprise performance management software for customers. His team creates software code using a variety of programming languages, such as ABAP (SAP’s own programming language), Java Script, SQL and FoX. Noel is passionate about sharing coding with young people and hopes that in this short course, he can encourage learners to experience the fun and excitement of coding for the first time, and possibly even awaken their interests in future careers in this area. 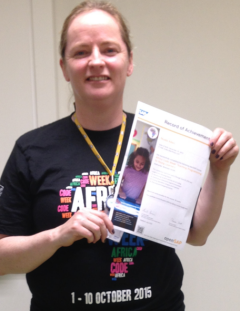 Nuala works as a Support Engineer in Product Support for SAP in Ireland. Trouble-shooting and solving customer problems are the core tasks of the day. This task regularly involves liaising with different development teams in SAP and on customers sites. Nuala is a member of the CIF (Community Involvement Forum) team in Galway, Ireland, that fundraises and volunteers for local charities within the community. She currently also volunteers at her local school, where they use open source technologies to teach young people how to code. Olena is a project manager in SAP Labs France. She is responsible for several software development projects in SAP Solution Manager. 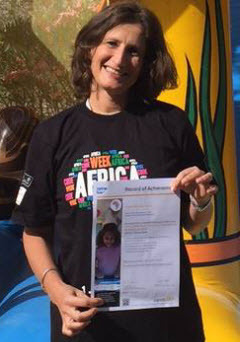 She is actively involved in many social engagement initiatives at SAP. She is a mentor in the “Technovation Challenge for Girls”, a project to promote girls in technology. She is an experienced and enthusiastic Scratch instructor. She is passionate about theater, horse-riding, and the environment. 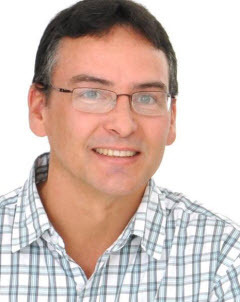 Jean-Christophe is Chief Support Architect in Higher Education & Research. He has worked in France, UK, Italy and Cyprus in areas that include distance learning, finance, cyber-security and education and research. 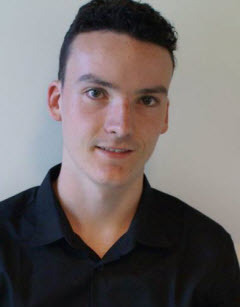 He works closely with the academic world to support SAP products and contribute to their development. He likes to give seminars and acts as a Design Thinking coach within SAP University Alliances. He has two teenage daughters, and likes skiing, sailing, cooking, and playing with Scratch ! Si vous souhaitez vous inscrire à ce cours, il n'y a pas de conditions préalables ou de limites formelles. Le cours est gratuit et ouvert à tous. Inscrivez-vous au cours openSAP et commencez-le! Ce cours a eu lieu du 26 sept. 2017 au 25 oct. 2017. 2912 apprenants sont actuellement inscrits. This course was rated with 4.58 stars in average from 113 votes. Obtenez un certificat de réussite en gagnant plus de 50% du nombre maximal de points pour la somme de toutes les tâches hebdomadaires. Obtenez une attestation de participation en complétant au moins 50% du matériel du cours. En savoir plus lisez les lignes directrices pour le certificat.